The house is located in an area of ​​several acres, planted with Olive trees, at the foot of the Ports of Basseit, overlooking the Ebro Delta. 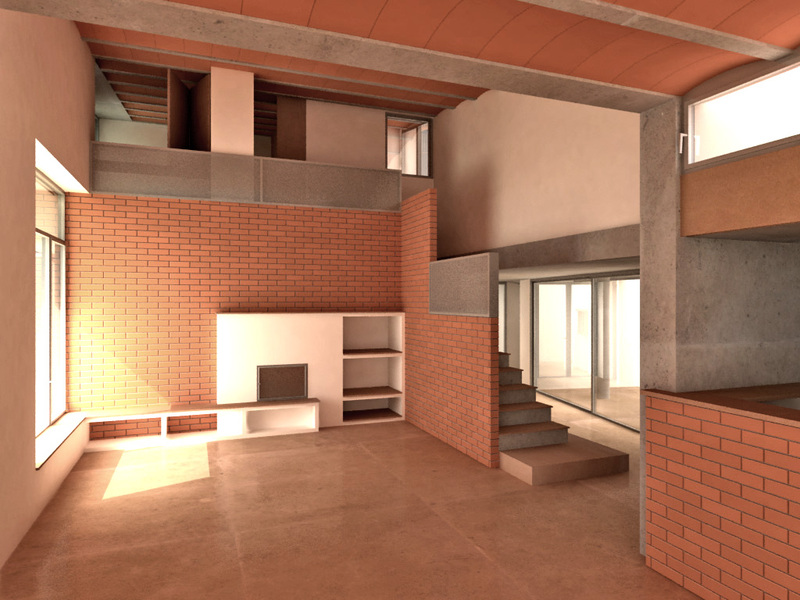 The project includes the restoration of the existing building with two floors and an extension in which kitchen are located, room and two bedrooms. The extension appears as a distinct part of the existing, through a modern architectural language and a rotation plan to guide the main facade to south. A wall of brickwork vertebrates living spaces: living room, kitchen, porch, ecological pool, in a sequence that slides between the olive trees. The covers are a series of shots at different heights, creating shaded areas on the outside and daylight entries that give the space a shell variable quality with solar path. Raw materials are used, looking for simplicity and according to a basic and harsh environment olive, earth, sun and wind. The building operates autonomously, with hot water and heating by thermal panels (solar), water from the well and sewage disposal to biological tank. This entry was posted in Housing, Interior Design, Restoration and tagged Architecture, ecologic architecture, house, rural house. Bookmark the permalink.